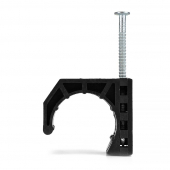 Tube Talons (J-Clamps) with Nail. 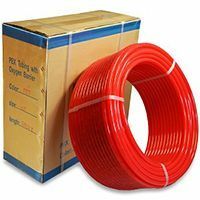 Compatible with 1" PEX tubing, 1" copper pipes and 1" CPVC pipes. 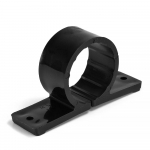 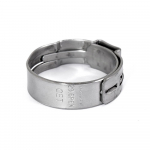 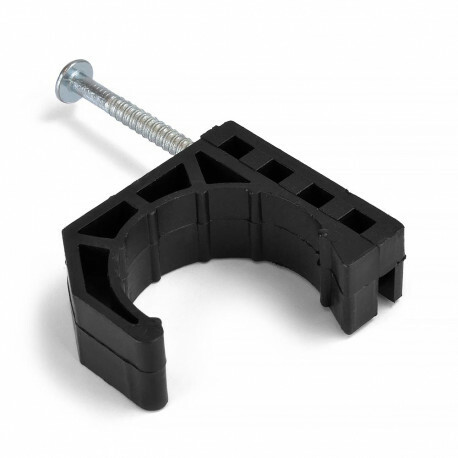 Can be used to secure tubing / piping to wooden surfaces,such as joists, studs, beams, subfloor, etc. 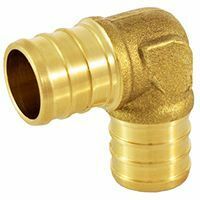 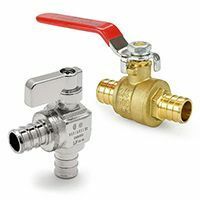 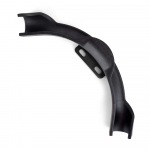 Designed to offset the tubing from the mounting surface and eliminate or reduce noise problems associated with thermal changes in the plumbing/heating system. 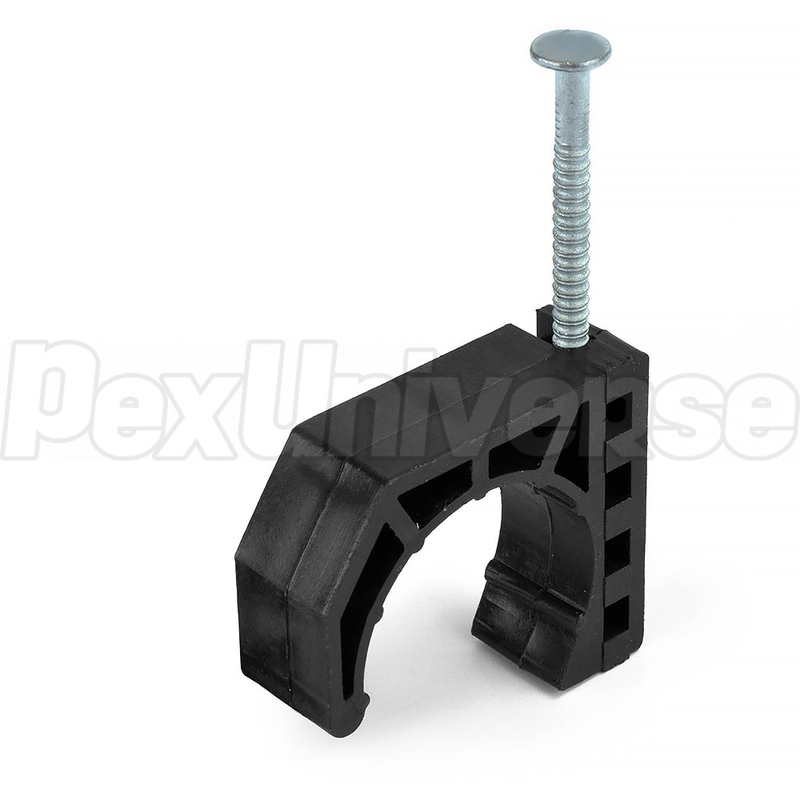 Protruding nail length (wooden surface penetration depth) is 1-1/8".